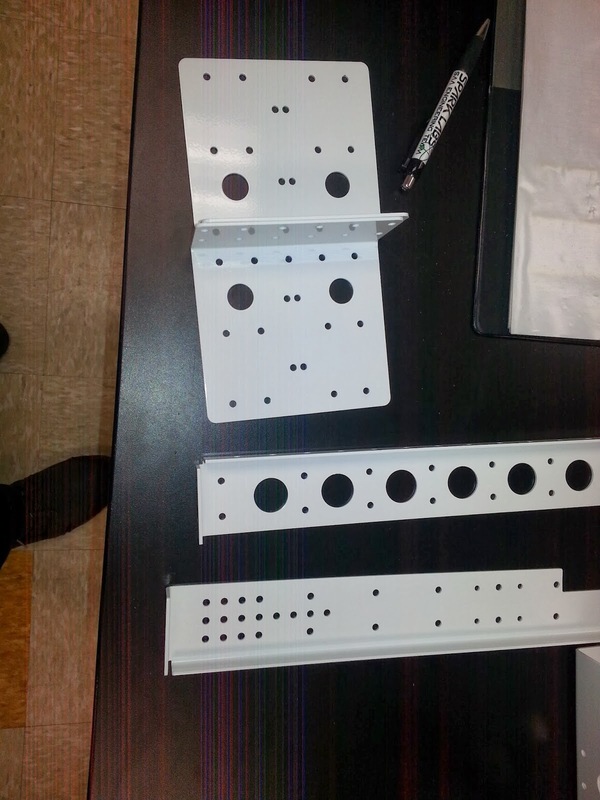 We got all the parts back from the powder coater today, sadly there won't be any purple powder coat on our robot but the white still looks good. There will probably be a few purple spray painted items as well. We started final assembly and have gotten pretty far along. 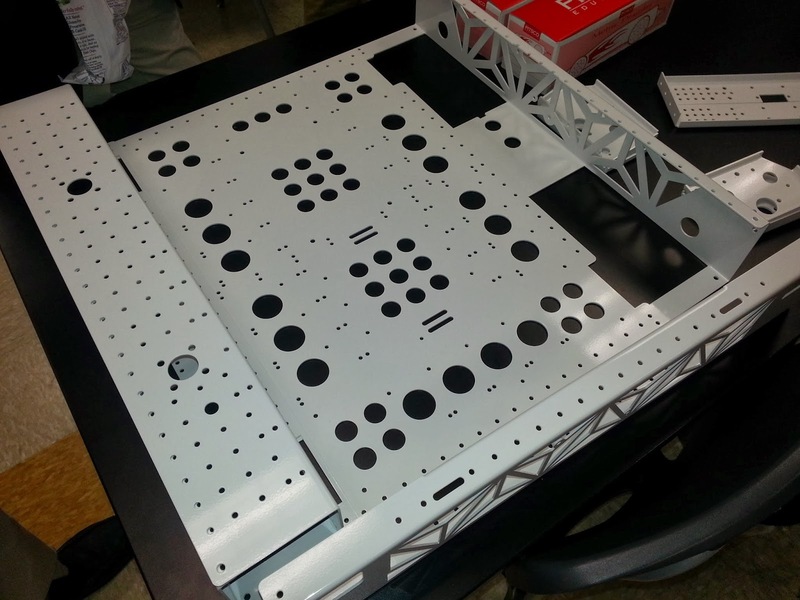 We have the full drive train complete and waiting for electronics. 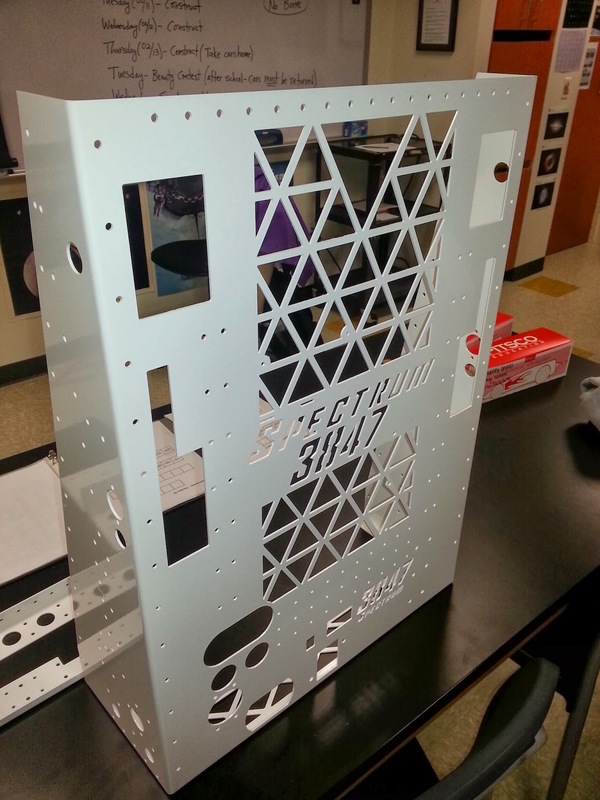 We have most of the back panel assembled just need to add the two launcher shafts. With the 45lb withholding allowance we won't be bagging a collector, wings, or launcher arm so we'll have plenty of time to work on those before our first event, Week 3 in Dallas. All of those mechanisms are very modular and should be very fast to reattach at the event.